Travel, Travel, Travel! Sell all your worldly possessions and travel. It enriches the soul, opens your mind and creates a full life! Italy was nothing short of awesome. The food and wine were great. The small cars and death defying feats on the Autostrada (freeway)are legendary. The heat took some getting use to, but the sights and history are molto bene. Ah, and the Florentine women were il cielo sulla terra(heaven on earth). Somehow it is hard to describe the experience and the beauty of the women, but those who've been, know. 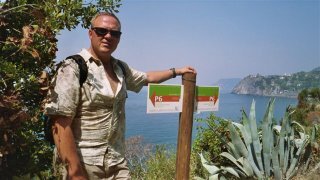 Here's the Itenerary: Arrive Rome, drive to Assisi for one night, Venice 2 nights, Florence 2 nights, San Gimignano (Tuscany Hill Town) 1 night, Manarola 2 nights, Castel Pietro near Monteriggioni (Tuscany Hill Town) 1 night, Locanda Rosati outside of Orvieto (Umbrian Hill Town) and Rome for 4 nights. 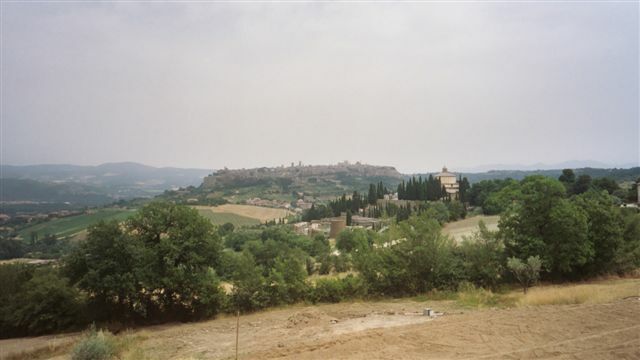 I had several favorite places : Assisi, Florence, Manarola on the Cinque Terra, and the quaint, twelve room inn known as Locanda Rosati near Orvieto. What made Locanda Rosati great was their dinners. You sat down at 8:30 for a 4 course meal with all the other travelers from around the world and drank as much wine and Grappa as you please. The food was all locally grown and organic. Both nights the meal was outstanding. Almost everyone stayed until midnight both nights, as well. Great food and experience! 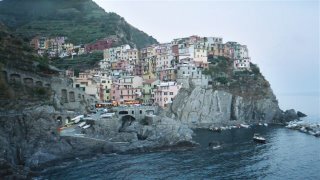 Below is a picture of Manarola which is one of five hill towns on the Italian Riviera, thus the Cinque Terra. The thing to do there is to hike between the five hill towns. Then when you are done with that you eat the great seafood and drink their locally grown wine "casa del vino". We ate at the outdoor Marina Piccolo restaurant which is the one with lights on the left in the picture. Zeus on the trail between Manarola and Corniglia. Yeah, it's not a great shot, but you get the idea. A view of the Umbrian hill town of Orvieto (click on picture to enlarge). 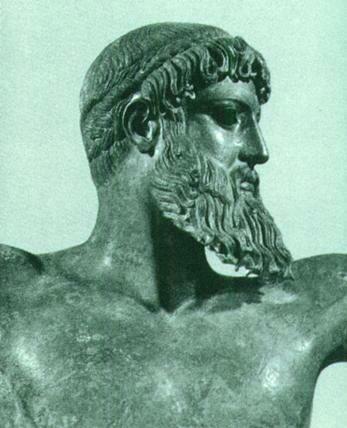 The Etruscans ruled it for centuries before the Roman's invaded around 500 b.c. There are over 200 underground tunnels beneath the city that the Etruscans built for a variety of reasons. I will try to get a few more pics here later. Still catching up! The Italians, they know how to live - Ciao!